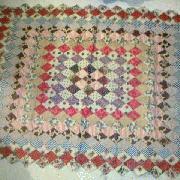 Piece of Victorian Patchwork Quilt. 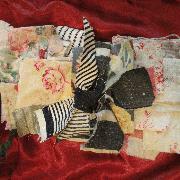 Immaculate patchwork quilt section with pieces of paper still in the rear. This could be made into a wall hanging or cot quilt.